Last week, I wrote about what ‘speech’ really amounts to in most silent films: an indication that speaking is occurring, not a transmission of specific information to the viewer. Silent films dispense with small talk—that is, words for their own sake—much as we would like to do in real life. But what if we do need the words? When you don’t have a soundtrack, there’s only two ways to convey them. (1) Hire a narrator to sit in the theatre and describe the specifics of the plot, and perhaps speak some character’s dialogue, loudly. This was never a popular technique in North America, though some early films made use of it. (2) Display words on-screen. This is achieved by filming a card with words written on it (called an ‘intertitle’). 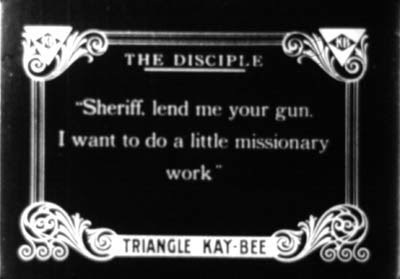 Intertitles momentarily interrupt the action, usually for the length of time most audience members would need to read them. Ugh, can you imagine? The films would be fours hours long, at least—following every image of a person speaking with several seconds of transcribed dialogue. A conversation between two actors would be interminable. Who would sit through that? 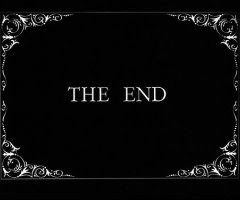 Intertitles only convey crucial information; that is, information that cannot be inferred by the actors’ body language or circumstances. If you’re new to silent films, you may be surprised how much you can figure out on your own—this is one of the great joys of watching these movies. 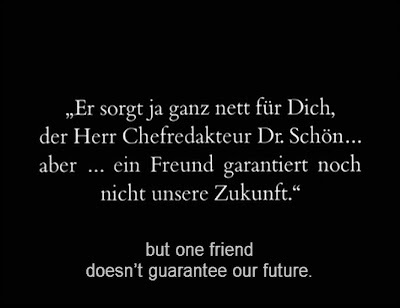 Some silent films even dispense with intertitles altogether. F.W. Murnau’s The Last Laugh (1924) tells almost its entire story with images and expressionistic camera-work; yet the plot is never in doubt to us. Nothing more needs to be said, and besides, we all know how many words a picture is worth. Intertitles are actually quite a flexible device. Most silent films display them immediately after we’ve viewed the actor speaking the words, but they can also be displayed immediately beforehand, to increase shock value. Some do not display dialogue at all. 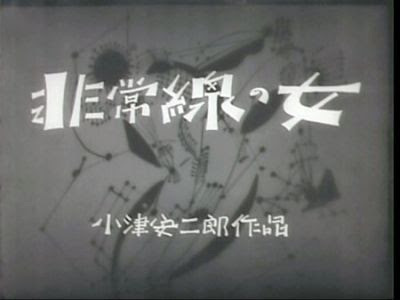 If shown before the scene begins, the intertitle can sum up the action you’re about to see. This is not so different from a theatre program which describes each act of a play before the curtain even comes up. Introducing scenes this way is often a hallmark of older silent films; it has a sentimental quality and naturally reduces the drama of the scene. 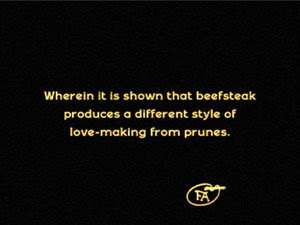 On the other hand, descriptive intertitles can add majesty, or at least importance, to the scene that follows them, or even produce a second of dread. As with any film, it comes down to the director’s skills. 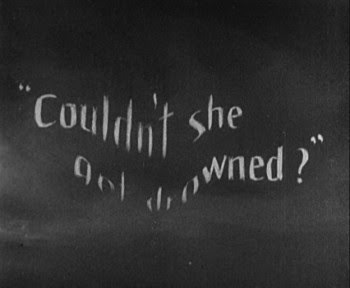 The development of the soundtrack didn’t kill off intertitles completely. Think of any movie you’ve seen that interrupts the action with a newspaper headline, computer screen or letter. Recall any biopic that concludes with a text screen describing how things turned out. These, too, are forms of intertitle, used because today’s directors still find it tedious to verbalize everything.